Tiny scorpion on the bottom board? 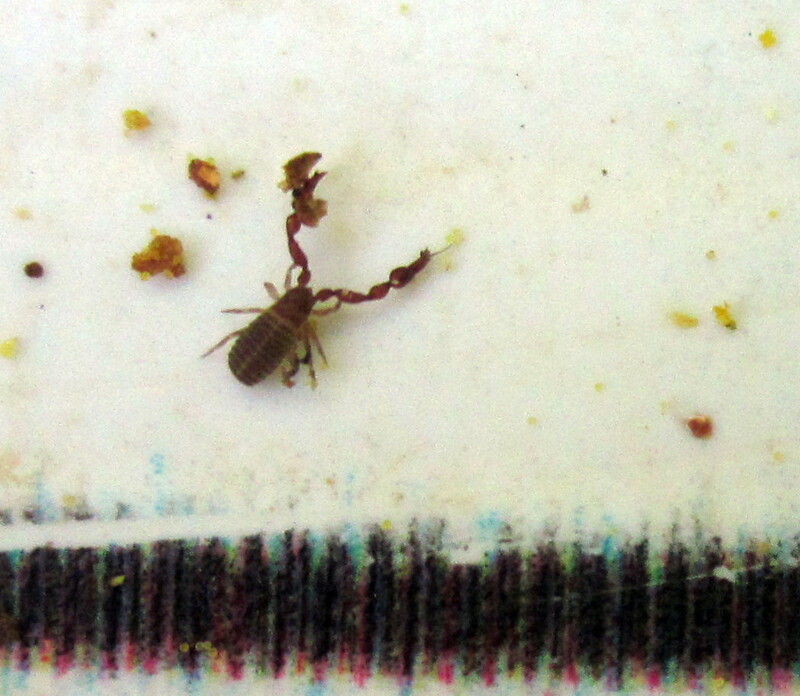 Noticed this on the bottom board today - sure looks like a tiny scorpion. 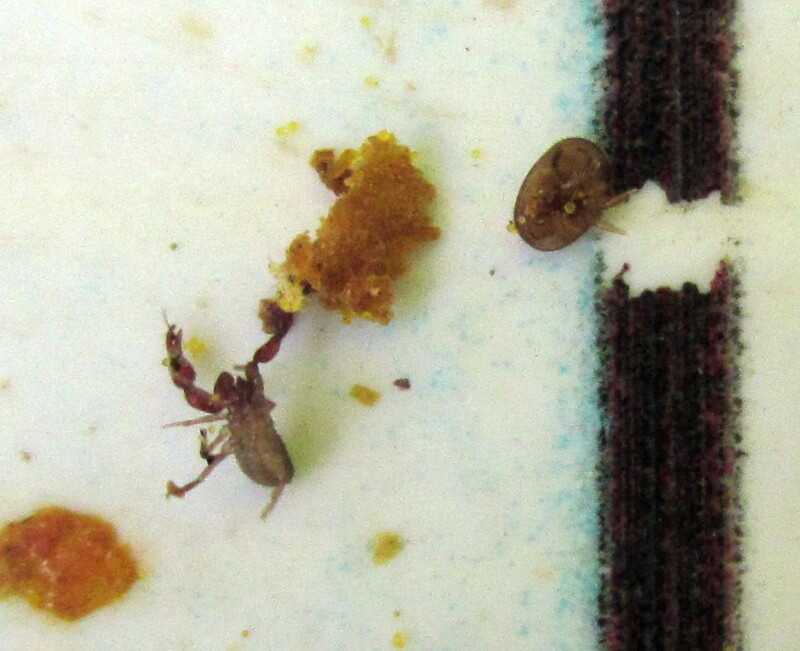 The second photo shows it on its back near a varroa mite, for scale. Anyone know what it is? IT was clearly looking for things to eat - tangled with a live mite for a few seconds... I'm in Massachusetts, so we don't see scorpions here that I know of! Re: Tiny scorpion on the bottom board? Thanks, Michael - glad to hear it! To know that they are getting into our hives.